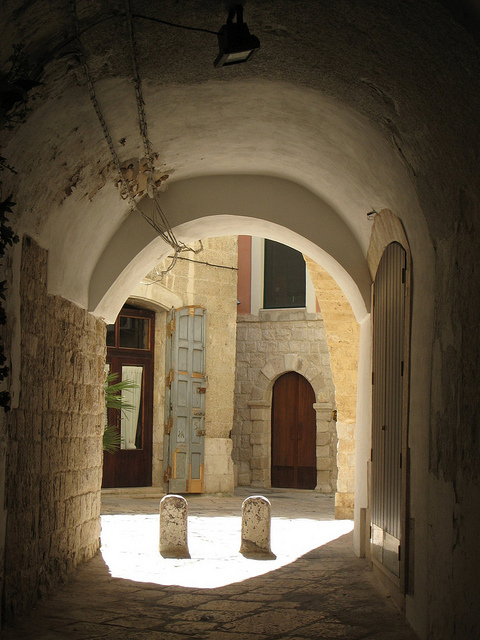 One of the oldest Jewish cemeteries in Apulia, dating back to the 8th century, is located in Bari’s San Lorenzo district. 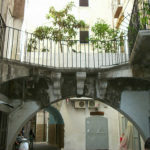 Bari was once one of the flourishing Jewish centers of Apulia which, according to tradition, were founded by captives brought to Italy by Titus. However, unlike in neighboring towns, no inscriptions have survived to trace the community back to the Roman period. The community in Bari rose to importance at a later time. An epitaph dating from the ninth century preserves the memory of Eliah ben Moses “strategos” and a stele (of uncertain date) commemorates Moses ben Eliah, devoted teacher of the law and poet, compared to the biblical Moses. In the ninth century, the miracle-worker Aaron of Baghdad visited Bari. The names of scholars who taught at the local rabbinical academy in the tenth and eleventh centuries are recorded, including Moses Calfo, who is mentioned in the Arukh of Nathan b. Jehiel. Legend tells of “four rabbis” who sailed from Bari in 972, were captured at sea by Saracen raiders, and sold into slavery in Spain and North Africa; after being ransomed, they founded famous talmudic academies (see Moses b. Hanokh). The legend indicates that Bari was known as a center of talmudic learning at the time. This is confirmed by the adage cited by Rabbenu Tam in the 12th century: “From Bari shall go forth the Law and the word of the Lord from Otranto” (a paraphrase of Isa. 2:3). The theological teaching of the Bari schools evidently attained a wide influence: Andrea, archbishop of Bari (d. 1078), actually became converted to Judaism (see Obadiah the Proselyte). The Jews of Bari underwent a number of vicissitudes. They were included in the edicts of forced conversion issued by the Byzantine emperors in the ninth and tenth centuries (see anusim). In about 932, the Jewish quarter was destroyed by mob violence and several Jews were killed. 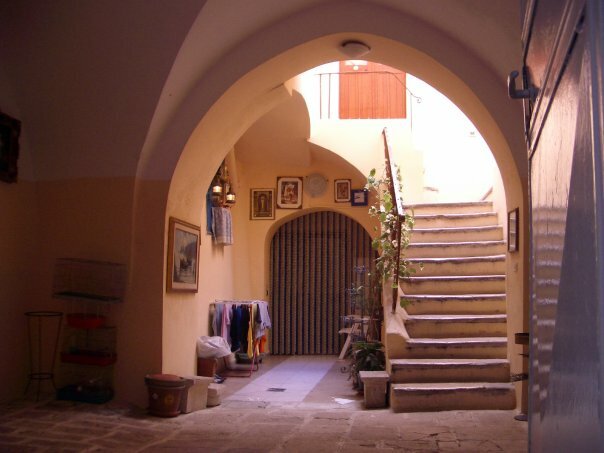 Between 1068 and 1465, the Jews in Bari suffered from the rival claims of the king and the archbishop on taxes levied on the Jews in the city. The Jews in Bari were also victims of the campaign to convert Jews to Christianity initiated by Charles of Anjou in 1290; in 1294, 72 families were forced to adopt Christianity, but continued to live in Bari as neofiti (see Crypto Jews). There followed a century and a half of tranquility until the Jewish quarter was again attacked in 1463. A notable figure in this period is the physician David Kalonymus of Bari. In 1479, David Kalonymus and his family were offered Neapolitan citizenship along with exemption from commercial taxes, and in 1498 he requested the Sforza Duke of Bari to confer on him the same special rights in Bari as he already possessed in Naples. In 1495, during the unrest that accompanied the French invasion, Jewish property valued at 10,000 ducats was pillaged. The expulsion of the Jews from the kingdom of Naples in 1510–11 sealed the fate of those in Bari: a small number were readmitted in 1520 and finally forced to leave in 1540–41. 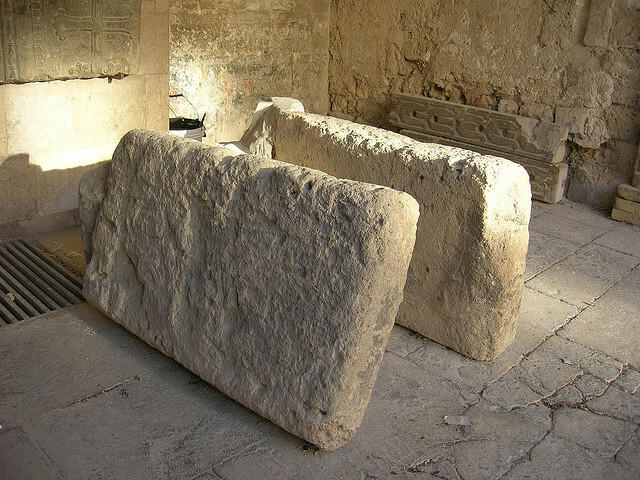 The Via della Sinagoga in Bari remains to attest the existence of the former community, and several early medieval tombstones can be found in the Museo Provinciale. In 1943, Jewish communal life was briefly resumed as a result of World War II, with many Jews from other parts of Italy and from Yugoslavia taking refuge in Bari from Nazi-occupied territories. Toward the end of the war a refugee camp was established at Bari. The beginning of the “illegal” immigration to Palestine movement in Italy was situated in the area around Bari. During this period Jewish soldiers, mainly from Palestine, were active in aiding and organizing the refugees.